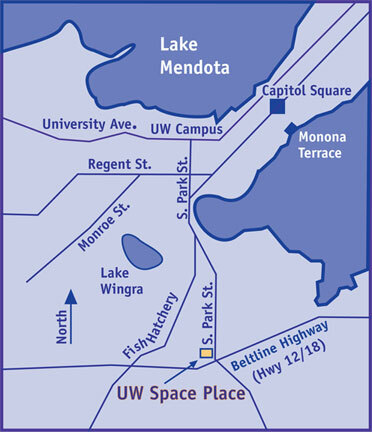 The UW Space Place is located at 2300 S. Park Street in the Villager, which is just north of the Beltline Highway (Hwy 12/18). The Villager is on the west side of Park Street across from Walgreens. Entering the Villager, turn left (south) towards Madison College. 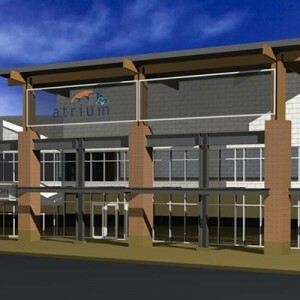 Enter through the doors marked "Atrium". Space Place is down the stairs in the lower level. For elevator access, enter through the main door (Atrium entrance). The elevator is located just to the left near the top of the stairs.